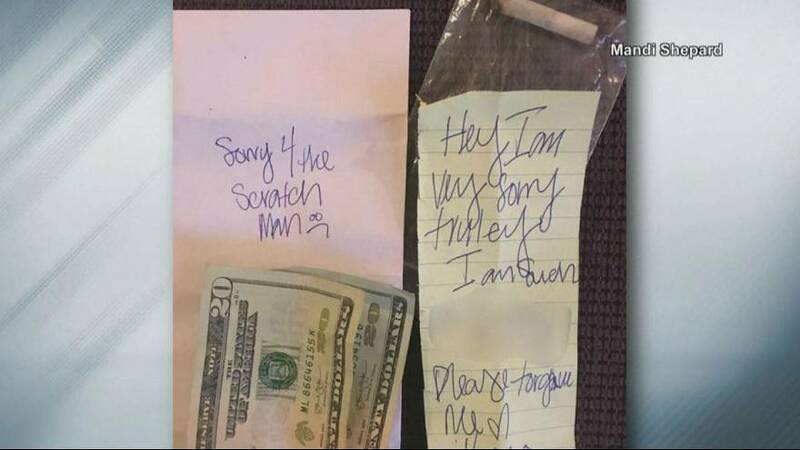 A Colorado woman found an unusual apology when she left work to find someone had crashed into her car, for the perpetrator had taped two $20 bills and half of a joint to the vehicle. The woman, who said the only damage to her car was a scratch on the bumper, said she didn’t notice the note until she was driving home. “I was laughing so hard on the way home that somebody took the time to leave me a note and leave me money and half a joint,” she said. The Colorado native said she will use the money to try and buff out the scratch.